Was not till I went here to drop off a package that I realised there was no CM here, so job done. Below is a log that I thought would look good on this page. 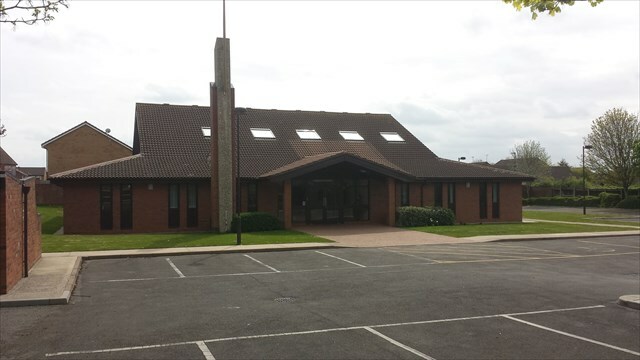 Hi Geocachers, I'm the Bishop (pastor) of the Yate congregation of the Church of Jesus Christ of Latter-day Saints who meet at this chapel. I finally made the time to find this cache on our boundary, after starting GC in April. Very nice to see all the comments from the other cachers about how nice the building looks. The chapel was built in 1987, so will be 30 years old in November 2017. Sorry about the high fences and gates which may appear unwelcoming when the building is not in regular use. We had a string of break-ins and vandalism about 15 years ago and so had to take extra precautions to protect the building. The sign says visitors welcome, and you are! Our main worship service is every Sunday at 11.45am, so grab the cache and pop in and say hello. Thanks to Tim'n'Marion for placing this cache.